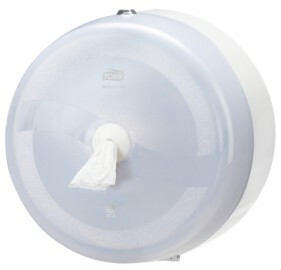 Tork Wave Line is the new name for the dispenser range previously known as Lotus Professional. Their distinctive translucent colour and high reliability and robustness are features instantly recognized by customers across Europe. The Tork SmartOne system (T8) is a unique single sheet dispensing system on a roll, perfectly suited for high to very traffic locations, even in the most demanding environments.